It is perfectly natural for a parent to want to name their children as beneficiaries of their life insurance policy but there are a number of considerations when naming a minor as the recipient of a life insurance payout. Understanding and navigating that jungle is the key to making sure that the money goes to the right person in the event of your death. There are twelve things that you should be aware of if you are considering making your life insurance beneficiary a minor. There are ways to get the payout of a life insurance policy to your child, and those are explained here. Remember that you should always check with your life insurance company, a financial advisor, and possibly a tax advisor before making any decisions about naming your child as beneficiary of a life insurance policy. The first thing that you should know is that a minor doesn’t necessarily refer to someone under the age of 18. In some states, a person is still considered a minor until they reach the age of 21. The distinction is very important because one of the major problems with making a beneficiary a minor is that they might not receive the payout unless they have reached the age of adulthood according to the state that they are in. You may not want your child to have to wait to receive the benefits that could pay for an education or sustain them until they are financially independent. The type of life insurance isn’t very important when it comes to the factors that affect giving your child beneficiary status as a minor except in the way that the type of insurance is important no matter who the beneficiary is – adult or child. A term life insurance policy has the same rules as a whole life policy. A life insurance payout can not go directly to a child. If you name a child as beneficiary of your life insurance policy, your child isn’t going to build to get the money immediately if you should die. That’s because the insurance company will not pay the proceeds to anyone considered a minor in that state. So the court will get involved in a guardian will be appointed to manage the money for your child until he or she reaches the age considered to be adulthood in the particular state that you’re in. What you’ll need to do instead of leaving it up to a court to decide is to appoint a friend or relative to manage the money in the case of your death until the child reaches the age of majority. Another problem that comes from making a minor the beneficiary of a life insurance policy is that they are not going to be able to get Government benefits if they ever need them once they have received an inheritance of $2000 or more. That includes SSI and Medicaid and may include other government benefits as well. This is particularly important in the case of permanent dependent children like those with special needs. Make sure that you are either providing a large enough benefit so that they will never need government benefits, or that you are being careful about the way in which you provide for them. You need to be aware of some tax issues that have to do with naming a minor child – or any child, even an adult – as the beneficiary of a life insurance policy. You cannot always have two people involved with the life insurance policy and a third as beneficiary because you will owe gift tax on the payout that your child will receive. For example, if you were to take a life insurance policy out on your spouse’s life, and your child was going to receive the payment upon their death, you will sometimes have to pay a gift tax on the amount they receive as a death penalty. You need to be aware that your will is not going to override your named beneficiary on your life insurance policy in any circumstances. While a life insurance policy is considered a contract, your will is not, so whatever it says in the policy is what is going to be legally binding, even if you put something different in your will. 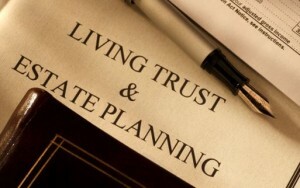 In some states, you are going to run into a problem if you live in a community property law state and you plan on naming someone else other than your spouse as the beneficiary. If you want to name your children as beneficiary, first be aware that your wife will have to sign off on it if you live in one of the community property states, which isn’t a problem when it’s children. It is when someone wants to give the proceeds of their life insurance policy to a friend, or even lover, that they run into a problem. Few children or young adults are responsible enough to be able to manage a large sum of money such as a life insurance payout and parents that have a policy which pays them a large amount upon their 18th birthday, or even while they are a young adult, may not be doing the child the favor. You can include requirements and specifications for how the money will be distributed. You can set up a trust, where they would get a certain amount per year or where they would have to be a certain age at all to receive the amount. When you write your life insurance policy you want to be as specific as possible about your children, including their full names, Social Security numbers and where they live because you want the insurance company to build easily find them in the event that they have money to pay them. Only listing your children by first name probably isn’t going to preclude them from receiving their proceeds but it could make the insurance company have difficulty in finding them and this could delay payments by a great deal. If you want to have control over who will receive the proceeds from your life insurance policy and make sure that you name more than just a primary beneficiary. You might name your child as a beneficiary of your life insurance policy but what will happen if your child isn’t around to give the money to? In cases like this you might want to name another family member such as a niece or nephew or even a sibling. The point here is, to make sure that you know what’s going to happen to the life insurance proceeds if your primary beneficiary isn’t around to receive it. A trust is a good way to pass life insurance benefits to a child. There are ways to get money to a minor even if the minor can not accept payment directly until they reach the age of majority. The following are ways to get money to a minor from your life insurance policy. You can set up a simple trust which will be funded upon payout of the life insurance policy. You can name a trustee to manage the trust, and the trustee can appropriate money to the minor as they see fit. The downside of this arrangement is that the child can not ever control the money in the trust, even after they are grown. There could also be tax implications to withdrawals from the trust in certain circumstances, especially if the money grows within the trust. UTMA accounts can be set up under the uniform transfers to minors act. This allows an appointed guardian to manage the account until the child reaches the age of majority. This is a very common way that an adult leaves life insurance benefits to a minor. The life insurance benefit funds the UTMA account, and unlike a trust, the child will take ownership of the money when they reach the appropriate age. One consideration is that colleges will often consider an UTMA account as an asset to the child when they are looking at financial aid, so it may affect a child’s ability to qualify for aid. A court can also appoint a guardian for the proceeds of a policy if a child is named as a beneficiary. While this is not ideal, you can at least rest assured that steps will be taken so that the child does eventually receive the money left to them by the life insurance policy.